As children we have to rely on others. We need them to provide food, shelter, safety, and the right environment for us to grow and achieve our potential. Some of us receive more support than others. Some of us thrive better than others. But as we get older we have to learn to make the best decisions and choices that suit us and the way we want to progress in the world. Making the wrong choices, either to please others, or because we feel that we ought, benefits no one long-term. Becoming an independent, functioning human being is the most worthwhile outcome we can hope for ourselves. – Making our own choices and decisions is an important part of being independent. Sometimes we may make the wrong choices, but those are often the experiences in life which are the most valuable. The times when we learn the most, the situations that teach us a lot. – Knowing ones own mind and developing independent thought, which is expressed in a courteous, respectful way is an important skill. 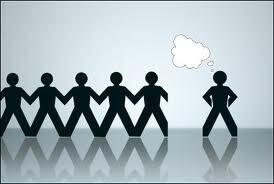 Being independent means sometimes agreeing with others and their opinions, and sometimes disagreeing. This approach can lead to interesting conversations, discussions and debates which encourage independent thought and add value to lively interactions. – Standing on ones own feet is important. Knowing that one can function well either in or out of a relationship is invaluable. Then if a potential new relationship comes along it will add to their quality of life rather than define who the person is. Some people are so fearful of being without a relationship that they stay in a bad one until a new person comes along. They never discover how capable they are as a person in their own right. – Having ones own money is often valued by independent people. They do not have to ask for an allowance and can pay their own way. They value not being beholden to others, and being able to do simple things like buying gifts without a second thought. – Maintaining ones own home is the ultimate in independent living. Some people choose to keep their own home even after they have committed themselves to a relationship. They may see it as an investment, part of their retirement plan, but it can also be regarded as an insurance policy in case their new relationship does not work out as planned. – Some people are wary of relationships. They may have been single for a long time, or may have been hurt or let down by an important relationship in the past. They may want to keep hold of their independence, to not feel that they require a partner to be complete, to define who they are. These people may well be comfortable in own skin, either when they are on their own or with others. Sometimes considering another person, a special partner, can take time and require patience, as they have to learn to let down some of the barriers and protection that have served them well over time. – Having ones own job or career can be a simple yet important step. Even if it is not a great job it can be useful as it occupies ones time, gives a purpose and routine to life, provides challenges, gives some independence away from the home. When we work with people we have to consider others, we have to be responsible and do a good job, earn our wages, be loyal to other staff. – Being independent can mean making our own mistakes. These are often valuable as we have to live with the consequences, put them right and learn from them for the future. – Many people, especially young people, like to have their own style. They enjoy experimenting and finding what suits them best, how they want to present themselves to the world. Over time we develop our own style, taste, fashion, dress, music, thoughts, ideas. Our personal and unique combination of these factors serve to make us the independent person that we ultimately become. It is important to allow that to happen and then celebrate it.